Home / brand new / brand new artist / música / Winslow / Winslow Unveil Debut Single "Out of My Head"
Winslow Unveil Debut Single "Out of My Head"
LA based indie duo, Winslow have just unveiled their stunning debut single Out of My Head. Those vocals are insane!!! Out of My Head is a brilliant piece of singer-songwriter/indie music where the focal point is the powerful vocals backed by delicate guitar riffs, dreamy soundscapes and an infectious beat. Those harmonies are on point and I can't stress enough how those lush, powerful vocals got me hooked to the song. I keep playing the song over and over again and it's just a pleasure to listen to. I guess I can't get it out of my head (pun intended)! Out of My Head is part of a double release with Look at Me Now, a more synth heavy track leaning more on the indie side than the folk-laced Out of My Head. You can stream both songs below! Winslow are Kate Miner (of MINER ) and Briana Lane. Miner was working on a solo project when she heard Lane sing live at a Christmas show in 2016 and asked her to join forces to finish the album. 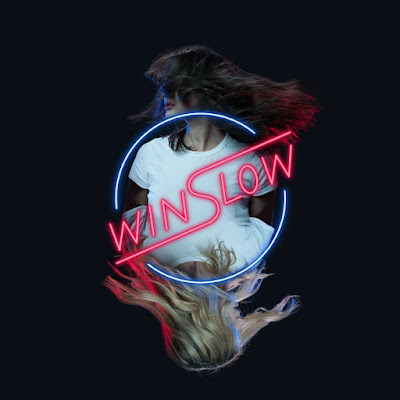 After a year and half writing and recording in a garage studio in Silverlake, on a street appropriately named Winslow, the two are ready to release their EP this June. With its modern, synth heavy soundscapes and echoes of Miner’s folk roots, self titled Winslow is a compilation of stories of heartbreak and loss in Los Angeles.